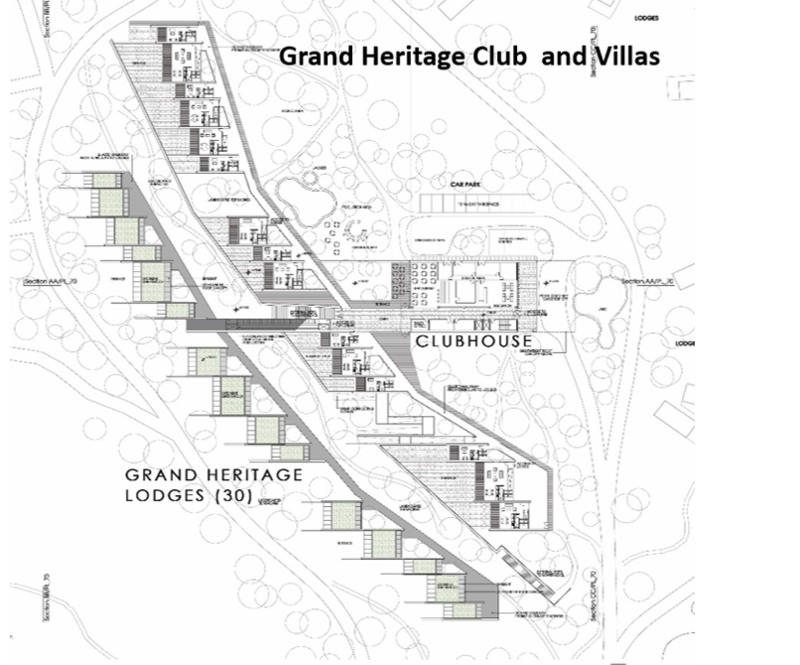 The Grand Heritage Club phase one development includes 30 top-end lodges located to west of the main Peak Resort site. The club residences are linked by funicular to a five-star club house containing a specialized restaurant, whiskey bar, a lounge and coffee bar, outdoor pool and Jacuzzi, 60 m2 of meeting space, exercise room and villa sales offices. The Grand Heritage Club will also feature a world-class medical spa offering the latest in therapeutic and cosmetic treatments. An additional 170 villas are expected to be built over the following four years, available to be purchased privately. Villa owners will be given the option to include their villa in a rental pool.